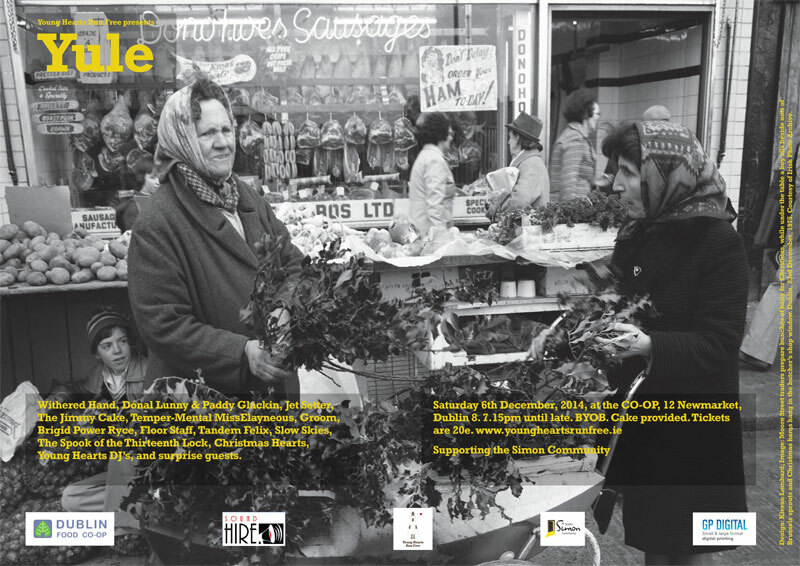 Do come and join us for our annual Christmas jamboree at the CO-OP, 12 Newmarket, Dublin 8, it’s going to be lovely, and very special. Admission is 20euros, and all goes to the brilliant work of the Dublin Simon Community, as ever. We have some of Ireland’s most interesting artists, as well as the debut performance of Scotland’s Withered Hand, surprise guests, Young Hearts DJ’s, and of course, CAKE.